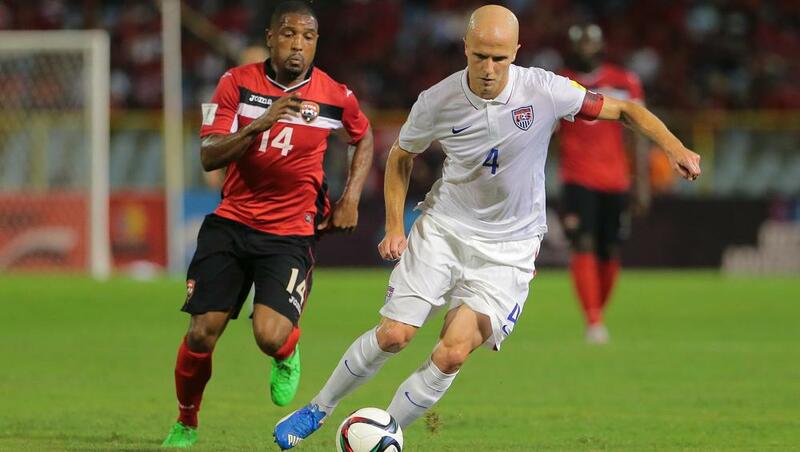 Michael Bradley was named the U.S. Soccer Male Player of the Year on Tuesday, winning the award for the first time. The Toronto FC midfielder had a team-high six assists for the U.S. in 2015, also adding three goals in his 18 appearances. Bradley won his 100th cap in 2015, becoming the fourth-youngest American to reach the milestone. Seattle Sounders forward Clint Dempsey, Aston Villa goalkeeper Brad Guzan, Borussia Monchengladbach defender-midfielder Fabian Johnson, and DeAndre Yedlin, a defender on loan at Sunderland from Tottenham, were the other players nominated. "It's an honor to be selected amongst this group of players," Bradley said in a news release. "This has been a challenging year for our team, yet we continue to understand the opportunity we have to represent the United States and know how important it is that we give everything we have every time we step on the field. That's what means the most to me, and at the same time I certainly appreciate this recognition." The 28-year-old was announced Friday as Futbol de Primera's Player of the Year, an award given based on a media vote. U.S. Soccer changed its voting process before last season, and now has voting committee that includes national team coaches and staff, players who earned a cap in 2015, MLS and NASL coaches, media members, former players, and administrators. Bradley received 43 percent of the votes, followed by Johnson (33 percent) and Dempsey (20 percent). Carli Lloyd was named the Female Player of the Year earlier this week. New York Red Bulls defender Matt Miazga was awarded the Young Male Player of the Year award, while Mallory Pugh captured the same award on the female side. Kevin Hensley of the U.S. paralympic national team is the Young Disabled Player of the Year.